The Alcatel One Touch Pixi 3. More forthcoming was Alcatel One Touch, a brand of TCL Communication, which was showing a technical preview of Windows 10 on a new 5-inch Pixi 3 smartphone. Pixi 3 is one of the rare handsets where users can select their OS—Windows Phone 8.1, Android or Firefox—and Windows 10 will be offered as an option on release. Carriers in Europe are asking for the new OS more than for Windows Phone 8.1, and Alcatel One Touch will oblige, said Fernando Mercader, a manager handling carrier relationships at the company. It’s not going to be a complicated decision for the manufacturer as the Pixi 3 smartphone runs on a chipset from Qualcomm, which supports Windows Phone 8.1 and also Windows 10. 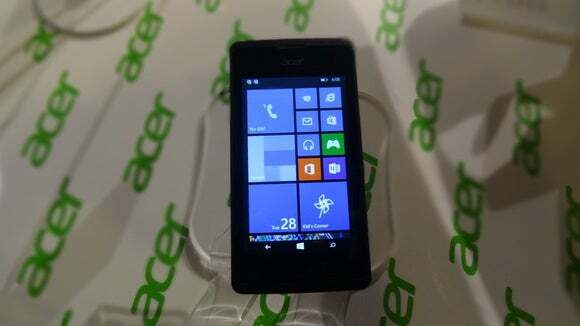 Acer has only offered Android smartphones until now, but announced a $89 Liquid M220 handset with Windows Phone 8.1 that later this year can be upgraded to Windows 10. 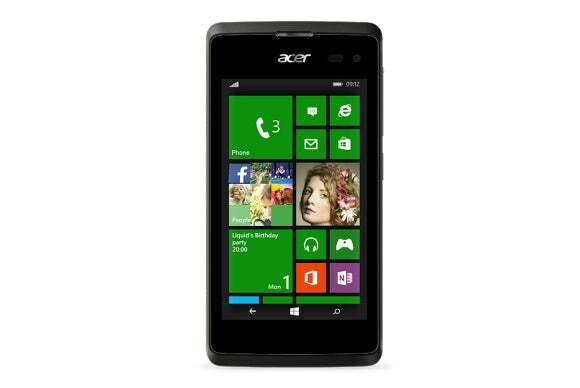 It’s the first of many premium and budget handsets coming from Acer that will run Windows 10. Acer wasn’t enthused by Windows Phone 8.1, but believes there is more awareness around Windows 10. The new OS makes it easier to share content and run applications across Windows 10 tablets, laptops and smartphones, and users want a consistent experience, said Wahid Razali, marketing manager for Acer in Europe. 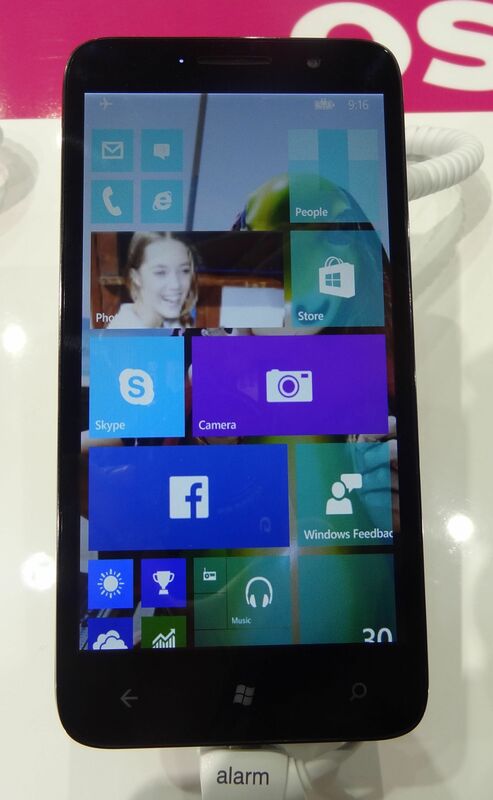 Until now handsets with Windows Phone OS have only come with Qualcomm chipsets. But by the end of the year, Windows 10 will also be on handsets with Intel’s Atom X3 chip, code-named Sofia, which was announced at the show. Intel’s chips are in just a few Android handsets, and support for Windows 10 is important as the chip maker takes on ARM, which dominates the smartphone market. In 2014, Windows Phone went into 34.9 million handsets, a market share of just 2.7 percent, according to IDC. That is tiny compared to Android handsets, which numbered 1.06 billion, an 81.5 percent market share, and devices with Apple’s iOS, which totaled 192.7 million, a 14.8 percent market share. There is enthusiasm around Windows 10, and a sense among device makers that there’s an opportunity to sell more handsets with a new OS, said Bob O’Donnell, principal analyst at Technalysis Research. Microsoft’s taking the right steps to becoming relevant in mobile again, tying software like Office 365 and services across all devices, O’Donnell said on the show floor. O’Donnell projected Windows 10 to have a 10 percent smartphone OS market share by 2020.